Many people lived in Anhui province from Paleolithic and Neolithic peoples to ethnic groups such as, Hui, Man, Zhuang, She, and Han. The majority of the ethnic groups lived in Anhui province in ancient times with the Han people migrating south after the Qin dynasty in 207 BCE. Another ethnic group called Hakka has traditionally been named as living in Anhui Province. 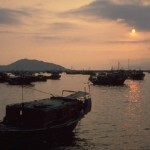 However, the name Hakka means guests and this ethnic group may be a general name for anyone not descended from the Han. Anhui province has played a central role in China’s history from ancient times. Digging sites and cave markings show people used this area of China 2.5 million years ago. The earliest Chinese dynasty to have contact with the Anhui area is the Xia dynasty (2200 – 1700 BCE) when warlords paid tribute to the ruler of the Xia dynasty. During several Chinese dynasties, cities in Anhui were set-up as the dynasty’s capital, such as Bozhou for the Shang dynasty (1766 – 1000 BCE) and Shouxian for the Zhao dynasty (518 – 222 BCE), the Western Han dynasty (206 BCE – 23 CE) and during the Three Kingdom Period for the Wei dynasty (220 – 264 CE). Anhui is also known as Wan. There is confusion as to how Wan became the second name of this province. Some information claims the name is from, Wan Bo, a governor of the area, other information claims it is from an ancient culture named Wan, and a third claim is from a mountain that is called Wan Mountain. Anhui became a Chinese province in the seventeenth century. Anhui province has many ancient cities. 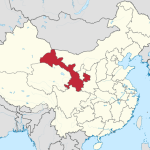 Four are described below: Shexian, Shouxian, Bozhou, and Anqing. Shexian (Huicheng, HuiZhou) is an ancient city at a crossroads from the east coast and the southern areas of China to the Huang Mountains and the Yangtze River. The city was first founded in the Sui dynasty (581 – 618 CE) and added on to in the Tang dynasty (618 – 907 CE). During the Ming (1368 – 1644 CE) and Qing (1644 – 1911 CE) dynasties more temples, houses, bridges, and walls were built. Salt was mined in the area and merchants held a monopoly on the sale of this household staple. The ancient city of Shouxian was first settled during the Warring States period (475 – 221 BCE) and used as a capital during the Western Han dynasty. A wall that was thirty feet high, twelve feet across, and 21,000 feet around, surrounded the ancient city of Shouxian. Excavations have shown that humans lived in Bozhou more than 7,000 years ago. This city was used as a capital during the Shang dynasty and during the Three Kingdom Period for the Wei dynasty. 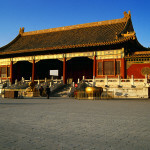 It was also an important city during the Tang dynasty. A large underground tunnel, which was used as a troop road, was built during the Three Kingdom Period of the Wei, Wu, and Shu Han dynasties (220 – 263 CE) still exists in the city. Opera theaters and stages from these earlier dynasties are still in use today. Established during the Eastern Zhou Dynasty (770 – 256 BCE), Anqing was the capital for this dynasty. It was also an important city during the Southern Song (1127 – 1279 CE) dynasty. The Huangmei and Hui Operas started in Anqing and many opera houses and stages still exist from ancient times. Also, many Buddhist temples and multi-storied pagodas were built during the Northern Song (960 – 1127 CE) and Southern Song dynasties. Located in southeast China, Anhui province is a landlocked province with level plains, mighty rivers, and tall mountains. During ancient times, the plains area of the north produced wheat and the more humid south produced rice and tea. These products were shipped north to the imperial capitals and surrounding cities to feed the growing Chinese empire. The Yangtze River flows through Anhui province and flooding killed many people in ancient times. The swollen rivers joined lakes to form areas of water several miles across making many areas impassable for long periods. Canals and dams were built to keep the flooding from happening, which also allowed more food to be produced without fear of too much water wiping out the crops. The mountain ranges, Dabie, Qin, Baiji, and Huang rising as high as 6,000 feet, kept many invaders from the area. These mountains provided coal, iron, graphite, fluorite, and limestone for the areas people. Anhui province is famous for its manufacturer of rice paper, ink stones and ink sticks used in calligraphy, and tea, which have been cultivated in Anhui since the seventh century CE. Traditional Chinese medicinal herbs and rice wine have been produced in Anhui since ancient times.